The holiday season is a great time to make a donation to those in need. The Christmas season is a great time to involve yourself in a service project or charity to help those in need. It is a selfless act of kindness that really defines what the Christmas holiday is about. You can find numerous organizations both nationally and locally. Offering your time or making a donation to their cause will not only make others feel better, but also make you feel better about yourself. You can help out immensely during the holiday season by donating your time to a local soup kitchen. Helping feed the homeless and less fortunate can be a rewarding experience. Whether you want to contribute your time and energy, through monetary donation or with gifts, there is a service project to match your needs and schedule. Start making Christmas wishes come true and help ensure a great holiday season for the millions in need. Here are 10 organizations or ideas for you to look into this season. They are all easy to get involved with and they all certainly make a difference. Send a holiday card to our troops at military installations, veterans hospitals, and in other locations. Read the guidelines and tips to ensure delivery. A gift-giving site for people who want to donate and purchase presents for children in areas affected by Super Storm Sandy. They're also matching children with secret Santas. The Sandy Sunday Initiative in order to raise capital which will be used to fuel the rebuilding process until its completion. We are in this for the long haul, and will provide for those in need in every way we can until our shores are whole once again. To collect Bed, Bath & Beyond coupons – current and expired – nationwide and donate them to Superstorm Sandy families as a form of "retail relief" as they replace so many of their home essentials. Will be open every Saturday, from 11am-3pm thru December 15th to collect toys for Toys for Tots and non-perishable food items for Hurricane Sandy Relief. All donation made to these causes will go to help Long Island families this Holiday Season and beyond. Those famous red buckets and the ringing bells. The Salvation Army receives millions of dollars a year to assist needy families, the homeless and the elderly. You can change Christmas for someone just by offering your spare change on your way in or out of the store while shopping this season. By purchasing the "Moms Who Kick" 2013 calendar you will get a journal filled with inspiring stories, health tips and resources. Their mission is to inspire, motivate and empower women to choose a healthy lifestyle that includes regular exercise and a nutritious diet. They are collecting for Sandy victims. 100% of all donations will be used to help the children and their families this holiday. Please "sponsor a child" or "adopt a whole family" we really need to work together to give these families a holiday. New toy and new clothing drives are needed. Please donate, no amount is to small to help. Founded in 1980 by the late singer, songwriter and social activist, Harry Chapin, our organization provides nutritional food and support services for a network of more than 540 community-based member agencies including food pantries, soup kitchens, emergency shelters, child care programs, disability organizations, veterans services and more. Let us know about your favorite charities on Long Island.com Forum. Tuesday's Top 10: Taco Tuesday - Turn Dinner Into a Fiesta Tonight! 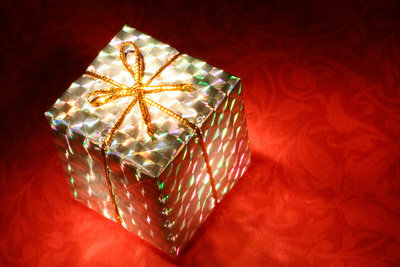 Subject: LongIsland.com - Your Name sent you Article details of "Wednesday's Top 10: Giving Back this Holiday Season"